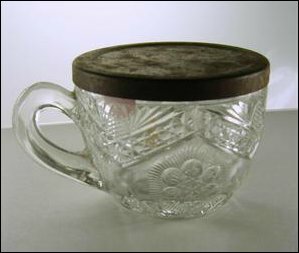 Tableware jellies were sold commercially since the mid 1800's. They came filled with jelly but were designed to be kept and used as tableware when empty. 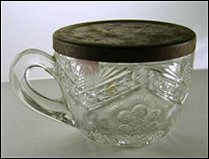 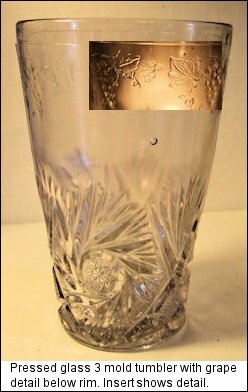 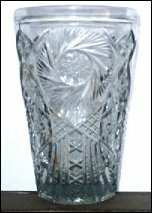 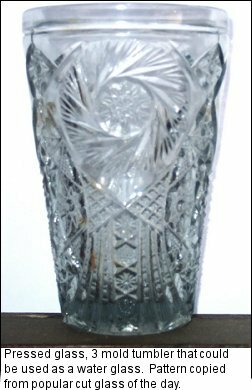 They are found in the form of goblets, water glasses, punch cups and cordials. 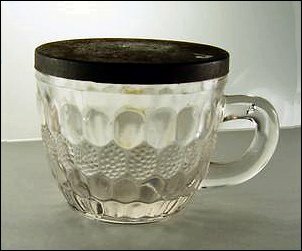 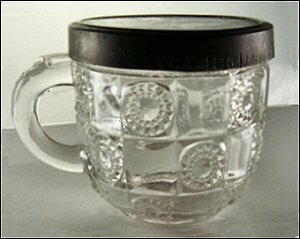 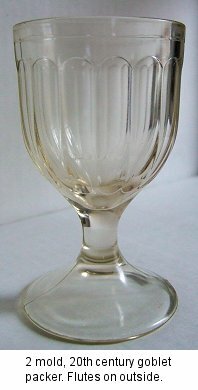 They can be identified as jelly glasses because the rim of the glass was designed to accept some sort of lid. 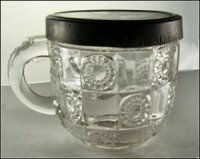 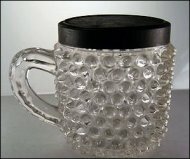 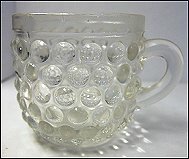 Jelly glasses that could be used as punch cups are not too difficult to find. 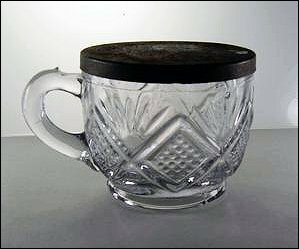 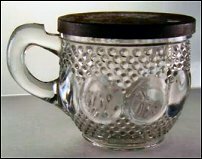 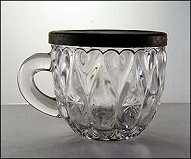 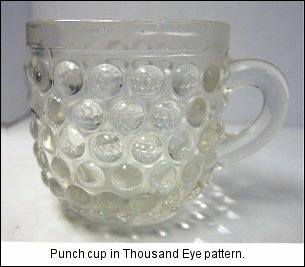 They can be spotted in antique shops and flea markets among displays of miscellaneous punch cups. Many of these cups have a cut-out on the handle where the handle is attached to the cup. No explanation for the cut-out has been found, although it may have been useful in removing the lid. 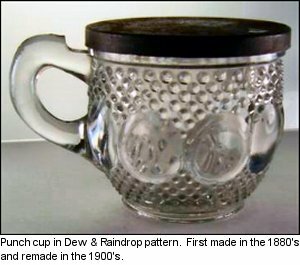 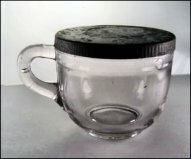 The cups all have a flat area around the lip where the lid was placed.